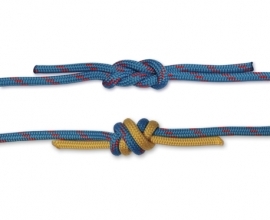 The Figure of Eight Knot is an easy to tie knot. 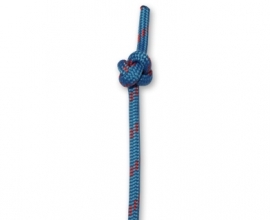 It is similar to the Overhand Knot, but has more volume and is easier to untie, making it a better quick stopper knot. 1. Make a crossing turn by laying the working end over the standing end. 2. Pass the working end underneath the standing end. 3. Tuck the working end through the loop, going through the front and coming out of the back of the knot. 4. 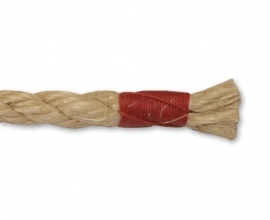 Dress the knot by pulling the working end and standing end in opposite directions. 3. 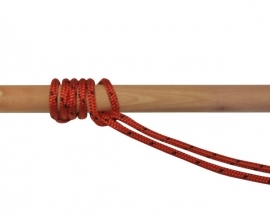 Make a bight in the working end and tuck it through the loop, going through the front and coming out of the back of the knot.